Though it's just sphere's, it seems really mysterious and cool at the same time. Maybe adding fog will give it that extra mysteriousness. thanks for that, i tried fog but it made the spheres go blank, I guess I need to work on lighting some more. And it´s a tiny animation with the rosy bit being a fish and the spheres moving like bubbles, I guess that´s what made me proud of it as a newbie to 3d modeling. Lighting is just as important and the model - If you can't see the work then what good is the effort of the work. Like the pic by the way! I something have to use multiple lights to get the results with different colors. In the real world light reflects and illuminates object so we have to make up the difference by adding multiple lights set to different shades and/or colors. Some lights can be set with shadows on and some off, gives it a more realistic feel. So.. yeah.. long time since I updated. I have just started a new WIP. 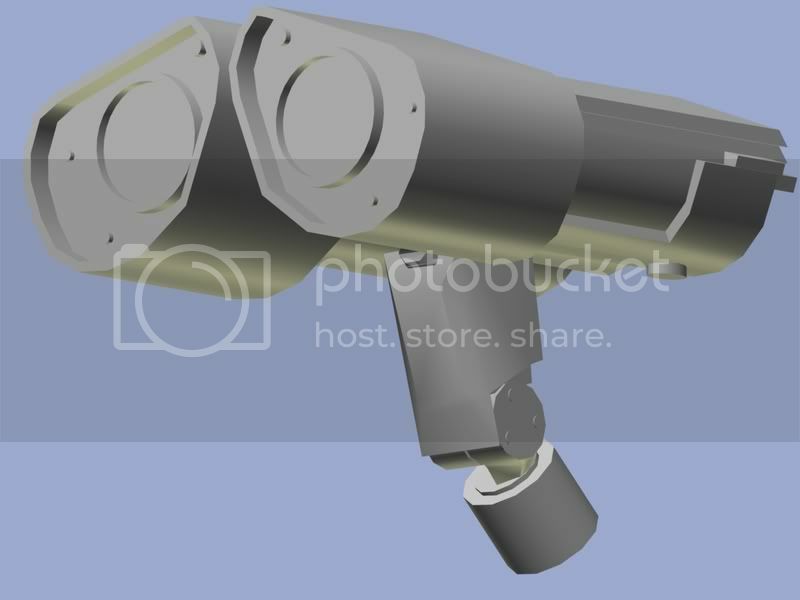 i am going to create a quite detailed version of Wall-E from the new hit movie by pixar, Wall-e.
Quite a good anim8or WallE to be seen there. 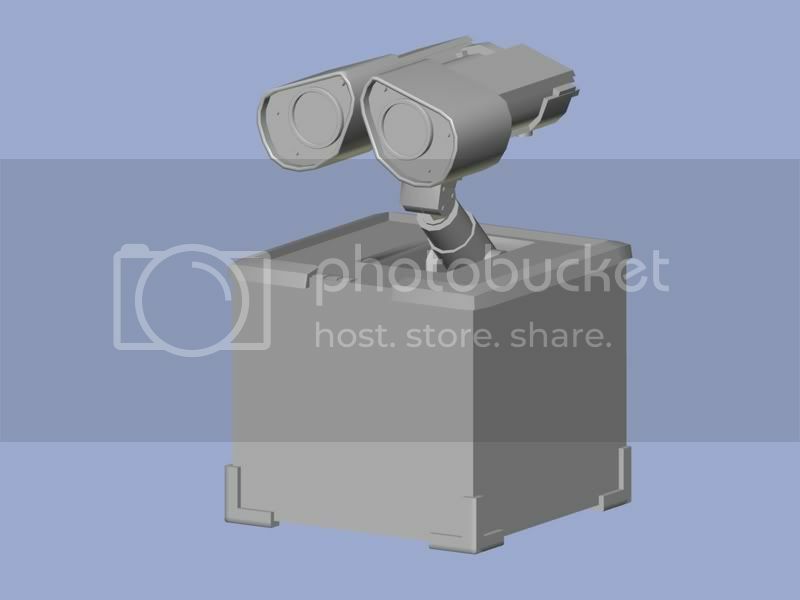 I wish to model WallE aswell, quite liking the movie, but don't have the heart to do it, as i'd most likely give up after one eye. ok, a small update.. made most of the neck.. not quite happy yet, so I might do some slight changes. quite low actually, but i am building a new computer now with 2gig's of ram, haven't bought the graphics card yet. 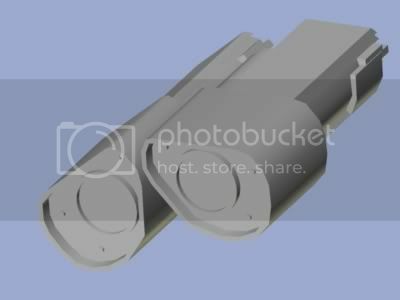 This isn't that high poly, is it? Ofcourse i should see a wire frame shot before taking conclussion, but it looks like 2000 faces maybe. Not that high poly. @mactetra: The model is coming along quite nice. Is this going to be used for a movie or a still. If it's for a still i would suggest to add more poly's or increase the edge angle. Now the round parts don't really look round. Don't fear those few extra poly's if your going for a still image, it will come out better. For a movie i wouldn't add more poly's, this increases the render time and it's difficult to animated with lagg^^. Well let me give you a tip: don't install vista. Don't get me wrong I love vista and don't know how i lived without it but it takes 1.5GB of RAM just to run idle. hehe, There is no way i would install vista, i don't like it at all.